One of the most common questions we get at the Foundation is, "Where can I find support in my area?" Across the U.S. and Canada, the RLS Foundation has a network of more than 75 individuals that serve as support volunteers for those suffering from RLS. 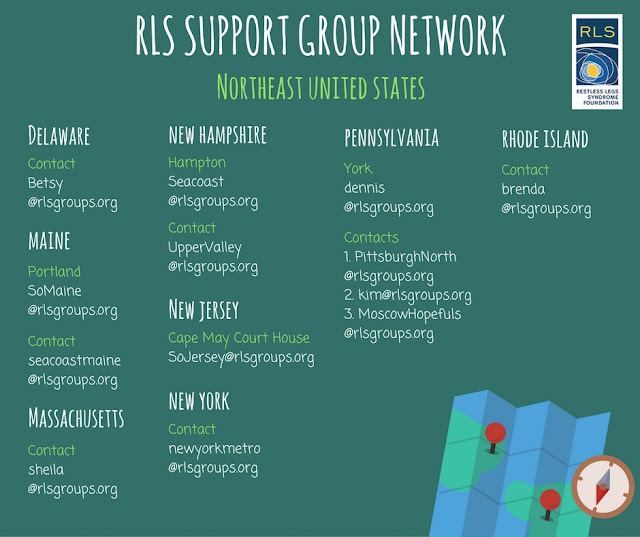 Support group leaders organize meetings in their community to provide a safe haven for RLS sufferers to come together and share their stories, discuss coping strategies and learn about the latest treatments and information. If there isn't a support group in your area, you can check to see if there is a contact nearby. Contacts are former group leaders who are available to offer support by phone or email to those in their area that are seeking RLS information, resources and support. They do not offer meetings but can assist in finding help where you live. Another vital volunteer role with the RLS Foundation is our network of moderators who assist in managing the Foundation's discussion board. They are the virtual extension of our network that facilitates discussion and support regardless of your location or the time of day. 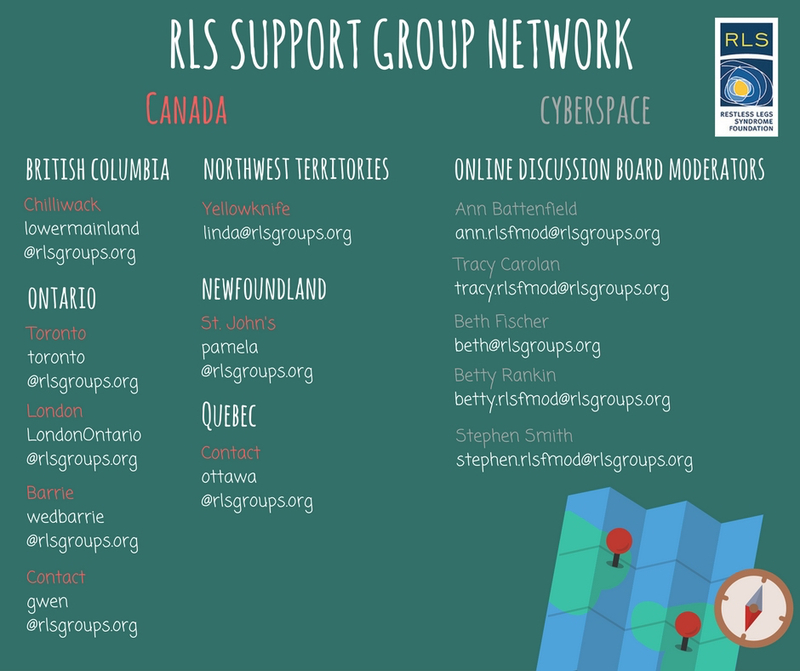 Check out the images below for a listing of our RLS Foundation volunteer family! You can also search for a support group or contact near you on our website. Learn more about the role by viewing the support group leader description. The Foundation will send references a brief questionnaire. Once reference questionnaires are returned, a volunteer manual is provided and a phone interview is scheduled. You then plan your first meeting with the support from the Foundation! Or email Chiara@rls.org with your application form. 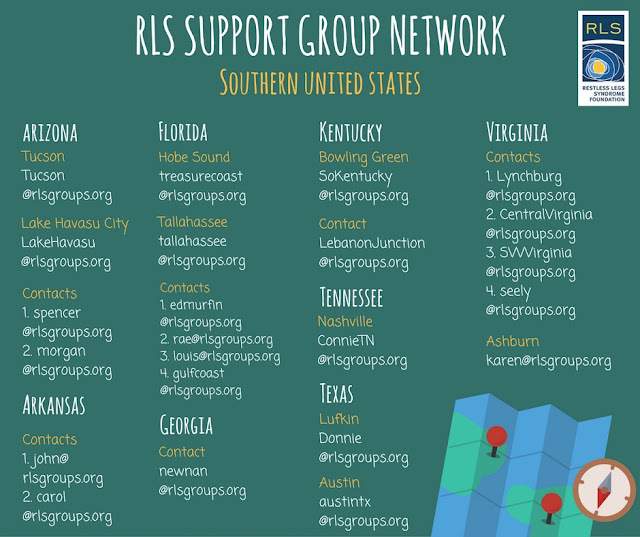 Our volunteer network is brimming with the enthusiasm of dedicated individuals - They continue to help The Foundation spread awareness and provide support to those facing RLS. Attend a support group meeting in your area or start one yourself! We want you to be a part of our team! In 2017, the RLS Foundation will celebrate its 25th birthday! This year alone, we have certified three Quality Care Centers, created a multidisciplinary Scientific and Medical Advisory Board, developed an RLS Children's Booklet (copies available soon! ), undergone a massive website redesign (to be unveiled next month! ), and reinvigorated our research grant program that awards up to eight new pilot grants totaling $200,000. And it's barely August! Our community is growing... learn how the Foundation can help you find the medical and social support you may need. After all, we are here to serve you! In January 2014, Karla accepted the position of executive director. In two and a half short years she has made a huge impact on this organization. Karla first learned about RLS in her dual roles as a mother and registered nurse when her daughter, then 11 1/2 years old, began to experience symptoms that doctors could not explain. Karla crossed the country looking for answers before finally finding a knowledgeable doctor, and shortly after, the RLS Foundation. Eager for answers, Karla joined the Foundation’s Board of Directors in 2004 and served through 2009. As a board member, she encouraged pediatric RLS research, along with programs to increase awareness and education of RLS in the medical and school communities. Karla believes that much work has yet to be done in disseminating information about RLS to the public and the medical community, and that much more research into its cause and treatment is needed. Karla drives the mission of the Foundation with her leadership, and she is passionate about promoting research for better treatments and a cure. Karla has vast experience working with non-profits, including active participation for many years in Girl Scouts, Austin Children's Museum and three years serving on the Board of Directors for National Charity League, Inc., with one year as board president of the Capital of Texas Chapter. Karla, her husband, John, and their two daughters have recently welcomed a new Alaskan Klee-Kai puppy named Arrow into the family. Karla is truly the Foundation’s #1 cheerleader. 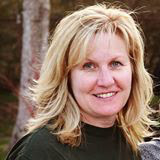 She always responds to difficult inquiries that come to the Foundation with genuine empathy, support and deep knowledge of RLS, drawn from her roles both as a family member impacted by the disease and as a nurse with over 30 years of medical knowledge and experience. Do we appreciate Karla? … Beyond measure!